The 2014 Shimano Canadian Cyclocross Championships have an official beer supplier. 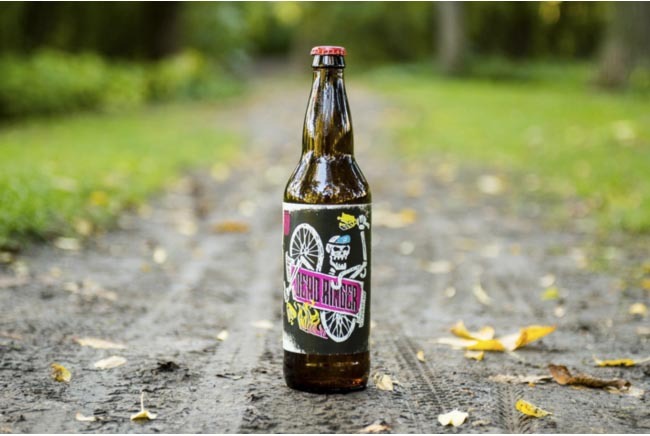 Winnipeg based Half Pints Brewery Company will be brewing a brand new beer just for the three-day cyclocross festival that will take place at The Forks on Oct. 24 - 26, 2014. “Having previously supported cycling-related events such as Bike Week Winnipeg, Biking to the Viking, and the University of Winnipeg BikeLab, we are a company with a strong connection to the cycling community and we jumped at the opportunity to brew a beer for this amazing competition,” said Zach Mesman, Half Pints general manager. The beer Half Pints is brewing is a Belgian IPA called Dead Ringer, inspired by the cyclocross tradition of spectators ringing cowbells at passing racers. Dave Rudge, the brewmaster, says the beer is an amalgamation of flavours. A special tasting event of a test batch of the beer was held at the Yellow Dog Tavern in July, with event organizers and Brewmaster Dave Rudge of Half Pints in attendance. Judging by the amount of time it took to finish the inaugural cask, the new beer was a big hit. Dead Ringer will be served at the Half Pints Beer garden throughout the championship weekend. It will also be available in select locations in the week leading up to the event. “To have a Belgian IPA brewed by one of the country’s top craft brewers is a perfect reflection of both the Belgian roots of the sport and the enthusiastic, party-loving crowd that is responsible for the recent explosion of cyclocross in North America,” said Event Co- Director Chris Huebner. The Canadian Cyclocross Championships weekend runs Oct. 24 – 26, with 28 races over the three days of festivities.